Franklin County Public Health and the Columbus Academy of Veterinary Medicine are holding a low-cost rabies immunization clinic on Friday, June 22, 2018 for dogs and cats. The clinic will be held from 1:00 p.m. to 3:00 p.m. at Windsor Park, 4330 Dudley Avenue, Grove City 43123. The cost is $5.00 per pet, cash only and no appointment is necessary. All dogs and cats must be on a leash or in an animal carrier. Pets between 3 months and 1 year of age or pets that have never been vaccinated will receive a 1 year rabies tag. Pets over 1 year old with proof of a prior rabies vaccination will receive a 3 year rabies tag. Proof of prior vaccination includes either a rabies vaccination certificate or a Franklin County/Columbus rabies tag. If you are unable to provide proof of a prior vaccination, your pet will receive a 1 year rabies tag. All dogs and cats in Franklin County are required to be vaccinated against rabies and are required to wear their rabies tag. Dog licenses will also be available for sale and the Capital Area Humane Society will provide microchip ID’s from 24 PetWatch at this clinic ($15 each pet). 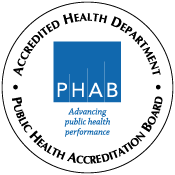 For more information, visit www.myfcph.org or call Franklin County Public Health at (614) 525-3160.